2016 is a year that in a lot of ways, many are pleased to see the back of. For animation though, it was quite a year, especially for feature animation. Animated movies dominated the box-office worldwide while big-budget live-action movies floundered. The year saw a wide range of animation released that won over audiences and critics alike. Now that the year is over, your pals in Team AFA take a look back at out favourite animated releases from 2016. Let us know what you think of our choices in the comments below or via our social media channels! With as many films as I've seen this year, so many of the good ones being animated, choosing a best animated of the year was probably the most difficult it's ever been for me. Still, after some deep contemplation, re-watching and even some soul searching, there is only one film that I keep coming back to as one of the best films of the year. That is Mark Osborne's film adaptation of the classic French tale, The Little Prince. Though the film had been released in 2015, it wasn't until 2016 that it became available on Netflix in the US which I took the opportunity to watch this summer. What makes it such a standout film in my eyes, aside for the fact that it has absolutely stunning stop-motion animation work, is how it was able to stay true to the heart and soul of the original tale. The film even spoke to me on a personal level in how it was able to capture how stories and real life events mingle in the imagination to help one make sense of the other. I'm always a sucker for good fairy tale inspired stories but never have I seen an adaptation of one with so much love and care behind it. Truly an astounding film and I plan on sharing it with everyone I know for years to come. 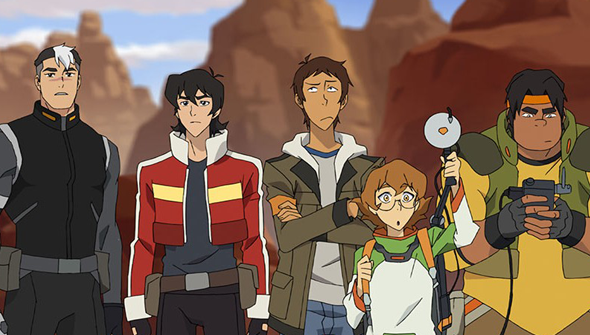 My second choice, going into the world of serialized storytelling in animation goes to Dreamwork's reboot of the Voltron series, Legendary Defender. For those who have read my review already, I will keep this brief. It is one thing to just slap a new coat of paint on an old property to try and make it appealing to a new generation. It is completely another to look at the core elements of what makes the story and characters charming in the first place. Then to take it a step further by fleshing out the universal stage of this expansive space opera setting. Along with providing animation that is both appealing to look at full of expressive and action packed energy. That is what Dreamworks has been able to achieve with this updated Voltron, finding appeal with original series fans and even a great deal of newcomers. With Season 2 set to release in 2017, expectations are high for the next chapter Paladin's journey across the galaxy. But if it hadn't been for such a phenomenal start, fans wouldn't nearly be as excited as they are now that release is less than a month away. Excitement and anticipation that I share with my fellow Voltron fans the world over. Kubo and the Two Strings: This film is by far my favorite of the films produced by LAIKA (which is saying a lot since I've enjoyed pretty much all their films). With excellent pacing, jaw-dropping animation and characters that are as entertaining as they are sympathetic, Kubo is a 2016 film that needs to be seen by everyone. Phantom Boy: While I was already intrigued by this film's concept of a boy who could become a phantom, it was the film that always kept me guessing on where it would go next. While some may find the humor a bit cheesy in places (the villain is not much to write home about) Phantom Boy has a great deal of charm that makes it worth the watch. April and the Extraordinary World: Another film that lured me in with an intriguing premise (what if the most important scientific minds of the world had vanished? How would our world evolve as a result?) which never failed to keep me guessing on how the overall mystery would unfold. The design this more steampunk world plus all the strange gadgets and contraptions featured were a marvel to watch in action. Not to mention a sassy heroine and an equally sassy mentor as a talking cat gives April and the Extraordinary world a unique flair all its own that made it one of my stand out films of the year. Zootopia: I've always been fans of Byron Howard and Rich Moore for their previous contributions to the Disney lineup (Bolt/Tangled, and Wreck it Ralph respectively). With both of their skills leading Disney's talented team, I knew the film was gonna be good. But I think I underestimated just how good it was going to be, and on how many levels it was going to impress me. The film also has a really interesting development history, so definitely look into that through the film's art book or any number of special features/documentaries on the making of Disney's biggest hit of the year. In such a phenomenal year for animation, it's not easy to pick, but that's what we're here today to do so I'm going to plump for Moana. Disney hit it out of the park with both their films in 2016, and they put out two very different movies. Not every member of the team was so keen on this one (and our review is pretty critical) but I fell head over heels for this one. From the lush tropical setting, the stunning animation, the lovable lead and- of course- the year's best soundtrack, this is for my money the best Disney musical since The Lion King. I'm a little baffled by anyone who thinks this is "just your typical Disney Princess movie", as while this has many of the classical elements (and that's part of the appeal) it puts enough twists on the formula to make it feel fresh. How could I not love a Disney movie that sneaks in a Flight Of The Concords homage that channels Bowie? At the completely different end of the spectrum is traditionally animated British feature Ethel & Ernest. Roger Mainwood's adaptation of Raymond Briggs' graphic novel biography of the life of his parents is a warm and funny portrait of life in the twentieth century anchored by perfect voice performances by Brenda Blethyn and Jim Broadbent in the leads. It'll warm your heart.. and then break it. No film in recent years, animated or otherwise has affected me in such a personal and profound way- to the degree that it may be some time before I feel able to watch it again. This film is something special, and I hope that audiences outside the UK will get to experience the film in the coming year. BoJack Horseman's third season was the best yet, cementing its place as one of the best pieces of adult animation to come out of American television. Not just smart and funny, but surprisingly moving as well (particularly at the season's end) this is a series not afraid to push the envelope. April and The Extraordinary World. 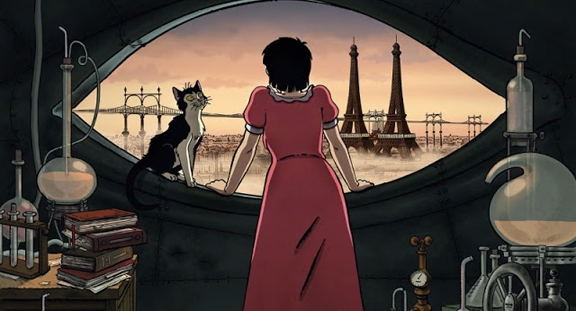 This steam-punk flavoured French adventure romp is a Gallic Graphic novel come to life and a delight from beginning to end. Kubo and The Two Strings. LAIKA's films are always technical marvels, but Kubo is where for me at least, the story lived up to the amazing visuals. The action sequences are like none ever pulled off in stop-motion before and the world created is a thing of wonder. It's a shame they couldn't have taken a leaf out of Disney's book when it came to casting appropriate people in the voice roles, however. 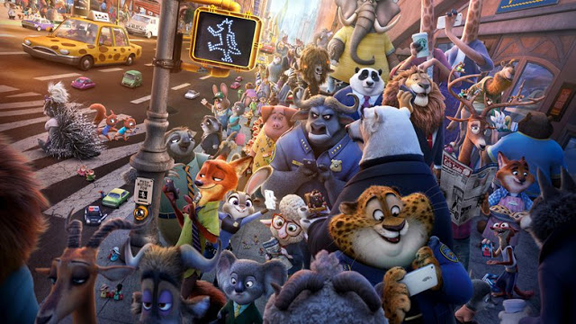 Zootopia is my favorite movie of the year! It was a toss up with this, Moana, or Secret Life of Pets. I wasn't expecting much from this film. I went into it with some pretty low expectations, and it delivered on almost every front. I enjoyed the characters, designs, the story, and even the twist in the end was a welcome surprise. It was a stand out animation, and while things did seem cliché after I initially watched it, I was too immersed in the world to notice during my first viewing, that it never even occurred to me till afterwards. I appreciated its takes on some of the more recent issues, and really enjoyed just the overall cohesiveness of the film. I've watched the movie many times since, and it's still fun even now. That, and my son and daughter love it! Now, if there is a show that I feel should get Best of the Year, it would have to be Re: Zero! This freaking show dude. This show! My wife and I happened to stumble upon this new anime on Crunchyroll, and were mildly interested. I think that's how it always is with me? Anyways, the premise is simple: main character dies, comes back to life, and relives the day over and over in a kind of messed up version of Groundhog Day. It's set in a fantasy world, and the emotional rollercoaster you go on is spectacular. We were hooked on every episode, and I think it might be one of the most dramatic animes (anime? Is there a correct plural term for anime? )[Yep, it's just anime ;-)- Chris] I've seen in a really long time. Season one was magnificent, and I am eagerly awaiting season 2! If it ever comes out... Oh yes, and team REM for life! -Moana was a really great film, but I felt like it was too short? Everything happened too fast. That, and the world seemed really empty. I really wanted to see more of the people and creatures, but all you really got were the kakamora, the lava demon, and the giant crab. That and the crab's song felt out of place? Still, a great movie! -Secret Life of Pets, like Zootopia, really surprised me as well! I was laughing so much while watching it with my wife and kids. I don't think I laughed that much at a movie all year. Also, the true to life reaction of the owner leaving her dog in the beginning had me dying! -Finding Dory wasn't perfect. I had some issues with some of the logic behind the driving force of the story, but it was just overall freaking adorable! I love Dory. -Myriad Colors Phantom World was an excellent anime! In the beginning. It had a lot of really neat ideas, but it lulled in the middle and never really delivered on the ideas in the way I hoped it would. But it came back strong during the last few episodes and concluded on a relatively high note. It is no surprise that my top series released in 2016 was Tatami Galaxy. Again, I didn't know much about this when I sat down to watch it but I had an incredible time watching this. I won't repeat too much what was in the review but this was a visual treat with its use of colour, movement and, whether deliberate or not, different art styles. There is so much to see that it does require several watches but it never feels like a repeat. There is something innocent about the idealism of our main character and his hopes for what will happen during further education that we end up on a set of wacky adventures, during which we find out more about the world and those who live in it. Whilst it is a cliche to say that it rewards multiple viewings, it really does. This is a pacy show but if you like to see unique and innovative animation this is a treat. April and the Extraordinary World: The premise and look of this feature animation hooked me. The idea of a 1940s world that has not progressed beyond the steam-age for all its needs was a neat one, especially when combined with the famous scientists, that I studied during my degree, going missing. I'm not normally interested in a steam-punk world but the story, pacing and characters kept me rapt throughout. April was a great lead for the film, whilst she was not a perfect heroine but had a drive and the will to succeed. Through her flaws, she felt like a real human being and I hope to see more characters like her across all forms of entertainment. 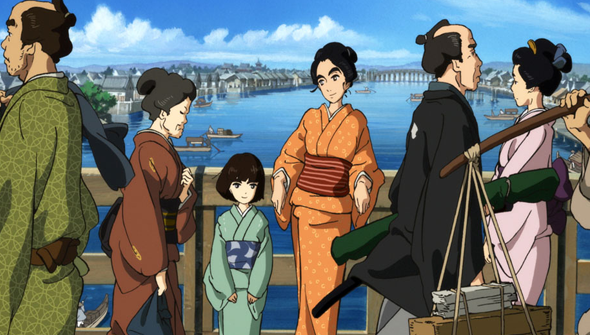 Miss Hokusai: An animated biopic of the daughter of the great ukiyo-e artist Hokusai is not something I was expecting to enjoy as much as I did, but it charmed me and took me on its magical journey. It tells the story of Hokusai's daughter, also an artist, who is strong, talented, and unafraid to express herself. She comes across as a very modern woman in the 18th century but does not feel out of place. It is beautifully animated and full of additional flourishes that show how much a labour of love this was. There is so much movement that at times it feels as if it could have been live action. It neatly combines CG with hand drawn animation and as you would expect there are references to the work of Hokusai. Mobile Suit Gundam: This release spanned 2015 and 2016, with the final part of the series being released mid 2016 in the UK. This is one of those anime big beasts which has to live up to 30-plus years of hype, which can be a tall order. Although not perfect it tells a good story with interesting characters that you care about, featuring some fantastic, and slightly bonkers (yes Big Zam I'm looking at you), mecha designs. Although created in the 1970s the character designs look fresh because they do not follow the modern aesthetic. Edges are softer and it has a more organic feel. It is a great piece of anime history. Walt Disney Animation Studio's latest animated blockbuster is perhaps one of its best, from the musical soundtrack to the animation techniques used to create the film. 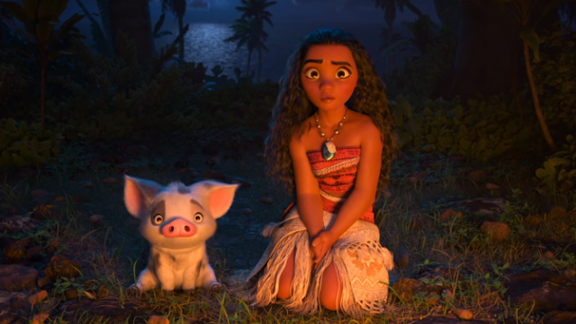 While the plot may have been less complex than the studio's more recent releases, the portrayal of Polynesian culture fused with the sheer virtuosity of the hero's journey elevates the film to a new level. Alongside the magnificent heartfelt musical numbers composed by Lin-Manuel Miranda and the brilliant visuals accompanying the film is a narrative that boldly paves the way for a new tradition of animation. LAIKA Animation's latest release is a gorgeous stop-motion animation that portrays the best the studio has to offer. From the start, the masterful storytelling sweeps audiences into an ancient Japanese tale, rich with mythology and astonishing visuals. The subtlety of the emotional impact complements the boldness of the tale, illustrating a story that is truly heartfelt. While the narrative may come across as clumsy at points, the dazzling fluidity of the animation and plotting secure the film's charm. This film isn’t even a year old yet, but I think it deserves a spot as not only one of the greatest animated films of 2016, but also as one of the greatest animated films of all time. With gorgeous visuals, a gripping story, and memorable characters, Kubo has the heart and soul of a Disney Renaissance film and the bittersweet resolution of a Don Bluth fable. From the moment it began, I was captivated by every single frame of movement. In fact, there were times where I almost felt like I was watching real people instead of animated characters. And, in a very cool coincidence, this exactly how I feel whenever I watch another amazing classic film: The Iron Giant. But, for me, there is one major reason I fell in love with this story: a mature story that respects children’s intelligence. With the release of 3D romps like Trolls and Minions, I was growing frustrated with the fact that adults seem to think that children need bouncy, playful, colorful, cavity-inducing sweetness and goofiness as entertainment. It’s almost like studio execs are afraid to throw scary elements into a story at the risk of scarring kids for life. Well, I have a comeback. Director Don Bluth once said you can show a child anything, if that story is told in the right way. And you know what? 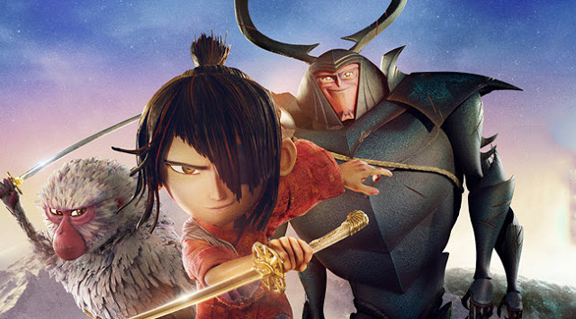 Kubo and the Two Strings is one of the stories that are told in the right way. Finally, in 2016, I got to see an animated film that contains just the right balance of horror, comedy, and friendship. This masterpiece doesn’t rely on in-jokes or catchphrases or clichés. Kubo is beautiful to look at and has a beautiful heart inside. All I can say is bravo to you, Laika. You don’t need an award to prove why Kubo and the Two Strings is the best animated film of 2016. Since you read my summary of Kubo, you are probably scratching your head right now. Why on Earth would Ali Harris choose Storks as one of the best films of 2016 when she just gave a dissertation on a lack of mature children’s films? And I will admit that I felt this way towards the film at first. When I sat down to watch it, I was losing hope in the first ten minutes worth of goofiness, cutesiness, and really weird humor. After the ten minute mark? I was destroyed by a tirade of laughter. Storks might have cartoonish CG animation, but its script is an absolute work of comedic genius. Honestly, this is one of the most side-splitting hilarious movies I have ever seen. 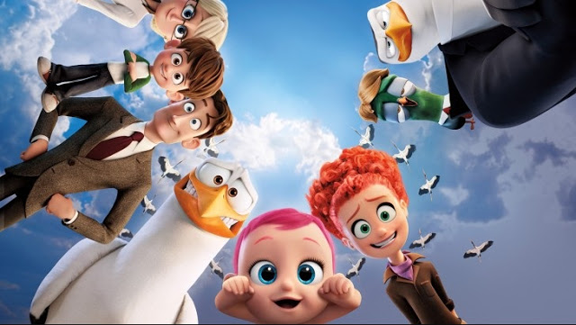 Storks succeeds due to its snappy dialogue and an amazing cast of characters, voiced by some big names in comedy. Andy Samberg finally has a chance to shine as the hyper-nervous Junior, and Kelsey Grammer (easily one of my favorite actors) stands out as the jerk boss. And we get a super funny appearance by Keegan Michael Key and Jordan Peele as hyperactive wolves, who totally steal the show! There were times I felt like I was watching an episode from The Simpsons, which ironically also starred Grammer as Sideshow Bob. But, beneath all the fur and feathers, Storks has a beautiful story that will bring you to tears, whether you are a parent or a regular Joe. Yeah? Who would’ve thought a film advertised as a zany adventure would have so much heart? While Kubo succeeds as a drama, Storks succeeds as a comedy, all the way. In a year full of incredible animated films, it's an incredibly difficult decision to pick just one as an overall favorite. For me by just a minuscule margin, Disney's Zootopia is my pick for best animated film of 2016. It's carefully detailed animal world was filled with layered and complex characters that propelled a deep and thrilling plot at an enticing pace that left you exhilarated by the end. What really drove this film over the edge for me though was the unexpected third act wherein lessons of tolerance are driven home as Judy Hopps realizes just how deep her own stereotyping runs in an emotional confrontation with Nick Wilde. It was an unexpected twist and gave the film that extra special layer that made it stand out from among the rest. As we enter a world where stereotyping and racism have reared their big ugly head, Zootopia drives home the lesson that we must be tolerant of others and work together in order to have a peaceful and successful world. There were a great many animated series as well in 2016, however DreamWorks Animation's end of the year entry, Trollhunters, takes the cake for me. With compelling and morally gray characters along with a fantastical story and thrilling action sequences, this series is a can't miss for any animation fan. The series is lovingly crafted and is perfectly paced for binge viewing, plus it is made extra special by being set in the California town of Arcadia which is a familiar setting for me. In following the adventures of Jim Lake as he learns how to become the hero Trollhunter he is destined to be, we see how he struggles to accept his new destiny as well as how he is stronger with his friends at his side. One of my favorite aspects of this series is how it beautifully illustrates Jim's struggle in maintaining his two lives as Trollhunter and teen high school student as well as the strife it causes in his once close relationship with his mother. It's not something often seen in tales like this and is refreshing as the series doesn't shy away in showing the consequences of Jim's new life. Catch the series in its entirety on Netflix! Kubo and the Two Strings: Easily LAIKA's most visually stunning animated film to date woven into a bittersweet tale. It's one that I will certainly never tire of watching and features some of the most complicated and incredible stop motion sequences ever. Moana: Gorgeous visuals and an addicting soundtrack courtesy of Lin Manuel Miranda, this film is certainly a can't miss and a necessary addition to anyone's animated film library. Voltron: If you've ever heard Rachael and I talk about this, you know how much we love those goofy and brave paladins lead by the passionate Princess Allura. Also, Josh Keaton is basically everyone's space dad as Shiro. Fun fact: he also voiced goofy space dad Hal Jordan in Green Lantern: The Animated Series. Star vs. the Forces of Evil: This series keeps knocking it out of the ballpark with a frenetic energy and a slate of wacky yet lovable characters. The sophomore season is now delving deeper into Marco and Star's friendship and the lengths they will go for one another not to mention exploring that one question, is there something more between them? The best thing that came out in 2016 is Nickelodeon’s The Loud House created by Chris Savino. At first, I was iffy on this upcoming series but after hearing the theme song, I knew I had to check it out as soon as possible! 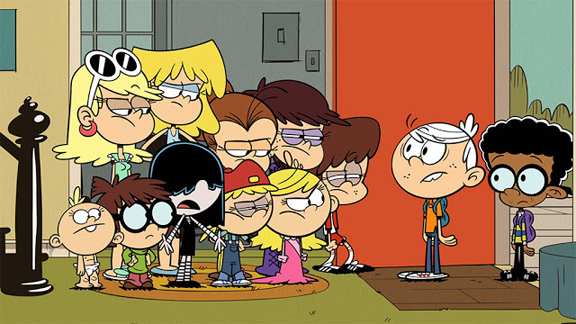 It’s a light-hearted series about Lincoln Loud living with ten sisters and being the only brother. Even though this show has so many characters with only 11 minutes per episode, it never feels overwhelming and it just adds to the craziness. Nothing against modern cartoons, but I also enjoy the newspaper comic style for this show, another reason I was drawn into it. Not to mention how progressive it is. Spoiler: Lincoln’s best friend, Clyde, has two dads! Huzzah! Overall, The Loud House is an entertaining show with valuable lessons. Must watch! Dreamwork’s Voltron Legendary Defender is another show I was so excited for because of the team behind it even though I have never seen the 80’s Voltron series. Legendary Defender is able to stand on its own and it is everything I ask for in a reboot. Any newcomer can watch this and not feel left out. I should know! Moana is one of the best movies of 2016. Honestly, I can go on and on about it. The animation is stunning, it has an awesome cast, and best soundtrack of the year! Auli'i Cravalho really impressed me as the voice of Moana. Her performance blew me away, she has a sweet and powerful singing voice that it puts me to tears. Not to mention… THE ROCK! They make a perfect duo. Gramma Tala’s love, wisdom, and final wishes definitely struck a chord. The only thing that was flawed was not enough Pua! 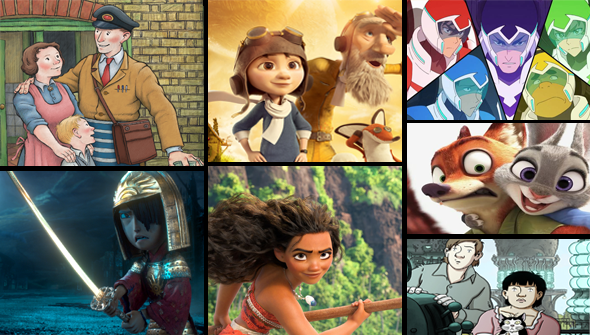 What animated wonders does 2017 hold? Check out our giant preview to see for yourself!